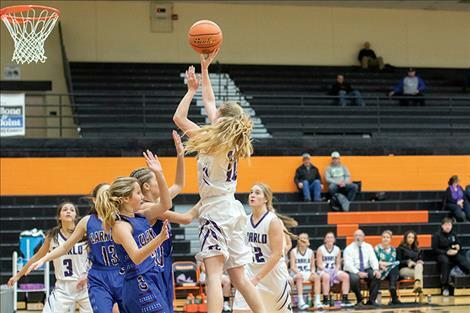 Lady Viking Liev Smith blocks a defender's shot. Viking Landers Smith battles a defender for the rebound. 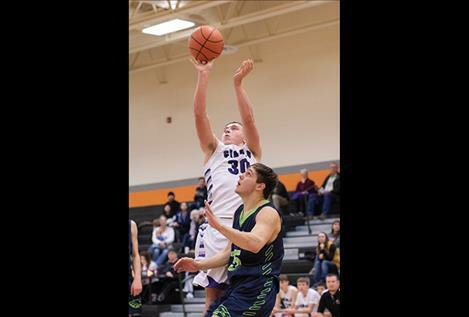 FRENCHTOWN – Charlo Vikings and Lady Vikings opened their 2018-2019 basketball seasons with back- to-back wins during the Western Classic C Tip-off Tournament in Frenchtown on Friday and Saturday. 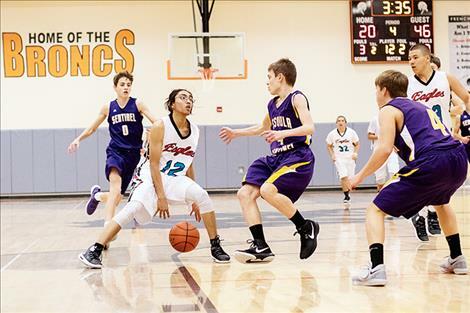 On Friday, the Vikings outlasted the Valley Christian Eagles 38-35. Viking Landers Smith led with 20 points. 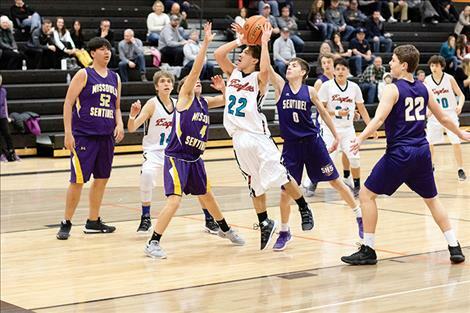 In Saturday’s matchup, the Vikings battled the Missoula Sentinel JV squad to a 47-42 victory. Lady Viking Liev Smith scored a game high of 18 points during Friday’s 52-31 win over the Clark Fork Lady Mountain Cats. Carlee Fryberger chipped in another 11 points and Kaitlin Cox added another nine points for the Lady Vikings. On Saturday, the Lady Vikings outscored Drummond 38-26 for their second win of the season. Smith scored 11 points to lead the Lady Vikings. Destiny Manuel scored nine points. 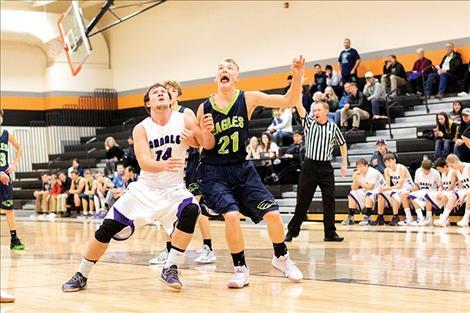 In the same tournament, the Two Eagle River Lady Eagles were overpowered on Friday by the Granite County Lady Prospectors 61-7. 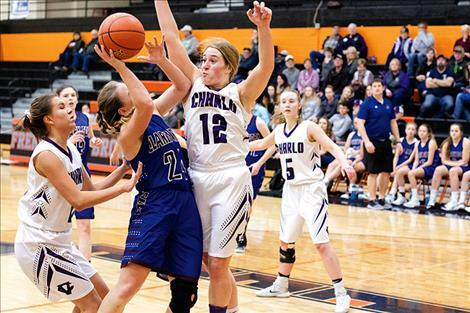 The Lady Eagles fell Saturday to the Lincoln Lady Lynx 51-11. For the Two Eagle River boys, Travis Pierre paced the Eagles by scoring six points. Eagles Dominique Finley and Anthony Charlo both scored five points apiece in the 48-20 loss to Missoula Sentinel JV on Friday. In Saturday’s game against Drummond, the Eagles fell 43-19.